It was not just that Anjala Beegum of DAV Higher Secondary School in Mogappair secured the first rank in the Class X examination, she also achieved the unusual distinction of a Muslim student topping the State in Sanskrit. 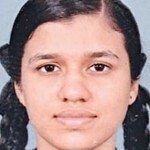 With a whopping score of 497 on 500 and a centum in Sanskrit, Anjala Beegum in a way emulated her brother Gulsar Ahamed by getting on the toppers list for Sanskrit. 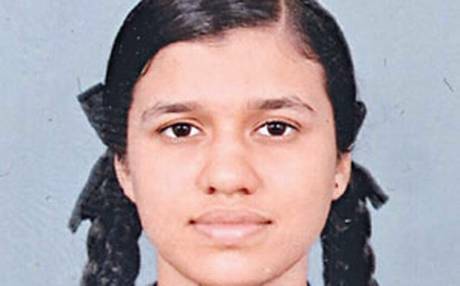 Anjala secured centums in Sanskrit, Mathematics and Science, with 99 in Social Studies and 98 in English. This meant she also secured the first rank in the State in Science and Mathematics. With any group of her choosing at her call, Anjala says she is going to choose Biology, to further her ambition of becoming a doctor. Anjala says simply, “I chose Sanskrit as my second language since my brother secured the second rank in the State in Sanskrit in 2008.” She takes the opportunity to thank her Sanksrit teacher, Sridhar Venkatramani, for coaching her. Anjala adds that she regularly attended the yoga sessions, two hours a week, at her school to improve her concentration and focus. “I used to meditate daily especially during my exams. I had yoga class at school twice in a week,” she says. Anjala’s father Abdul Hameed, a senior engineer at ICF, was quick to give all credit to his wife, Saira Banu, a housewife, for the scholastic success of their children. “All credit goes to Anjala’s mother, who is always behind the children’s success,” he said.